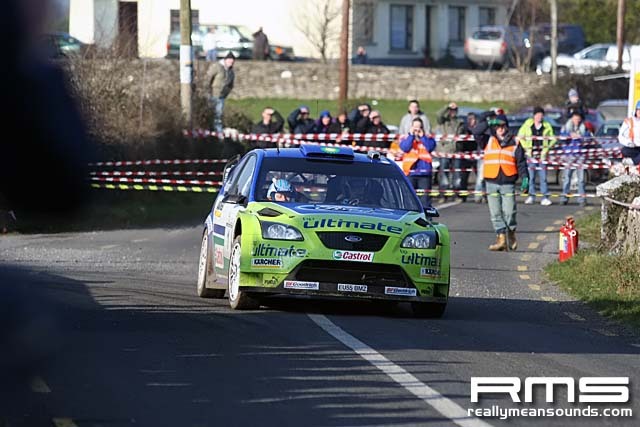 Well this weekend saw the opening round of the Global Group International Irish Tarmac Championship and what an event it was to be long before it even kicked off. 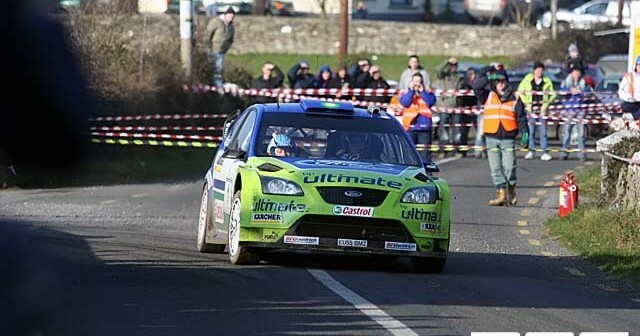 Marcus Gronholm of Ford world rally team was entered for the event for a start which was to be a testing ground and introduction to Irish roads for the Finnish driver in prep for WRC Ireland, this coupled with new cars for around 6 of the top Irish Drivers which included the latest customer spec cars from Ford and Subaru for Gareth Machale and Eugene Donnelly respectively it was certainly looking to be some fight and sight at the same time. A sight it certainly was when the frosted white fields and narrow lanes were alive on Saturday morning to the joy of spectators from all over the isle and farther afield.